North Texas has access to some great climbing and indoor climbing facilities. Whether you're climbing at Enchanted Rock or one of the many climbing gyms in the DFW area, climbing has a strong foothold in this part of Texas. Our N. Texas crew is psyched on building a vibrant AAC community in this area. For more info on what they have going, shoot them an email at the address below! 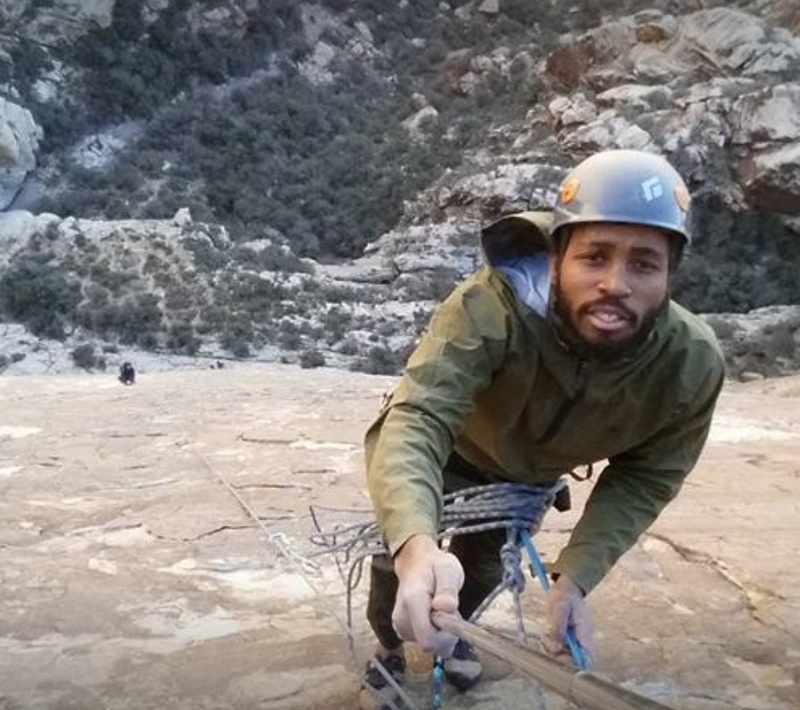 Mario R. Stanley, an experienced climber leads groups and individuals to their “mountain top” experience. Mario guides, teaches, and prepares kids, adults, and groups to attain success in rock climbing and team building. Mario is the co-founder of HighPoint Expeditions, the leading outdoor adventure and guiding company located in Dallas/Fort Worth. Zack Ready does his best to be outside as often as possible. He even majored in geological engineering at Texas A&M just to spend more time outside. Big into hiking, and climbing and mountain biking, his love for the outdoors fuels is passion for gear design and lead him to start Roam Ready with his brother, Isaac. Zack does his best to design gear with everything you need and nothing you don’t. If there isn’t something we already offer that fits your needs, please visit our custom page so you can collaborate with Zack on a custom design to get you perfectly outfitted for whatever adventure you may need.